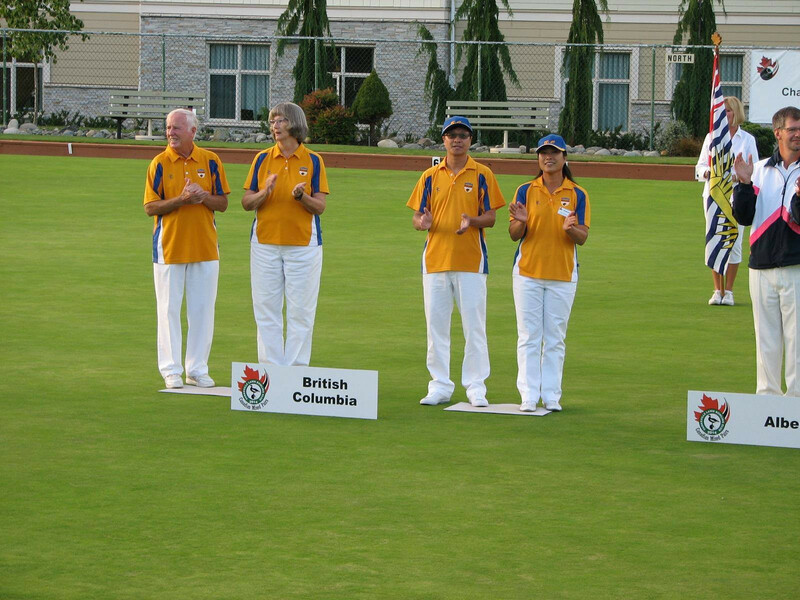 As Provincial hosts for the National Mixed Pairs Championship, B.C. 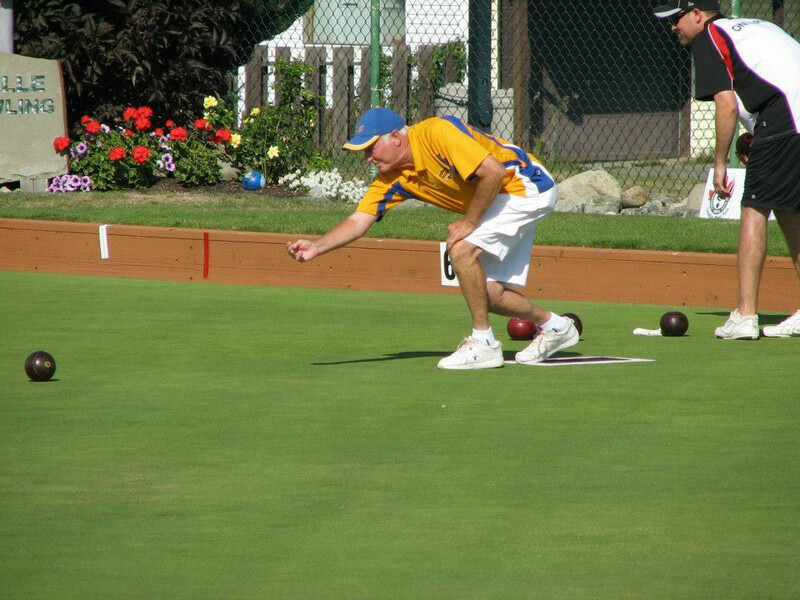 sent two teams to the Parksville Lawn Bowling Club and both came home with medals. After round robin play over the Sept. 7 week, B.C.’s ‘A’ team, Christie Grahame (Skip) and Marlene Cleutinx, finished at the top of the board taking only one loss to Saskatchewan’s Keith Roney (Skip) and Jean Roney. The ‘B’ team, Stephen Yung (Skip) and Lisa Cheung, found themselves tied in points (10) with Ontario ‘A’, Robert Steffen (Skip) and Nicky Chamois, for fourth. But it was a 13-11 victory for B.C. in round seven that broke the tie. The Richmond based team went on to beat the third ranked Sask., 22-15, for the bronze medal. The White Rock duo of Grahame and Cleutinx faced off for gold against the Alberta champions, Pat Bird (Skip) and Heather Mackie. B.C. stormed off to a 12-1 lead after six ends and looked to dominate the green as they did almost all week. But in the 11th, Bird and Mackie scored a five to close the gap, 14-10. Though, Grahame and Cleutinx were able to stave off the comeback through the next seven ends – even slipping behind 17-16 with three ends left – making the final 20-18 and successfully defending B.C.’s title to cap off a great outdoor championship season. A little bit of a roundup of numbers for 2014 as the year is winding down. Out of 18 teams\singles representatives we’ve taken home 11 medals. Five of those are gold out of the 14 national championship events B.C. has competed in this year and the indoor’s are still to come. We didn’t even have a male representative in the juniors or U25 nationals. According to the Bowls Canada Boulingrin website, B.C. has won 33.85% of all Canadian championships since they started in 1954. For ‘014, if the two gold medals left on the table were to be won by B.C., that would exceed this mark by 9.9%. That’s a good return on your investment.